From the maker of Murano SUV and all electri Leaf comes one fot he most the incredible performance cars ever. No, that isn't a joke. 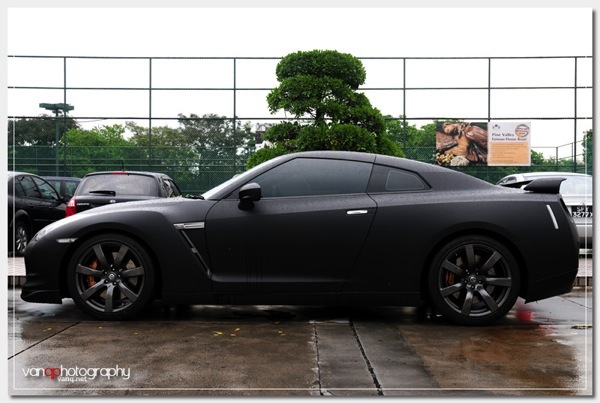 Of course, most major sports car fans already know that between 1969 and 1974, and again between 1989 and 2002, Nissan already produced a high performance version of its Skyline range called the Nissan Skyline GT-R so this new generation isn't the first time Nissan has gone berserk. 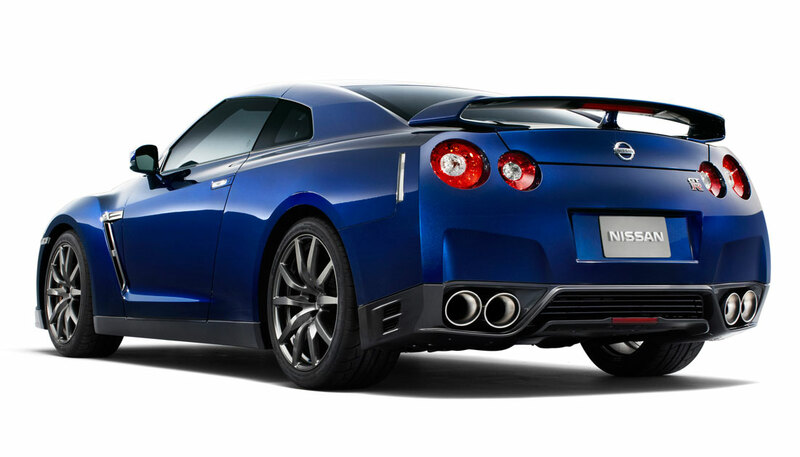 The original car and variants that came afterwards were so iconic for Nissan and achieved so much fame and success on road and track that they decided to give it another go. 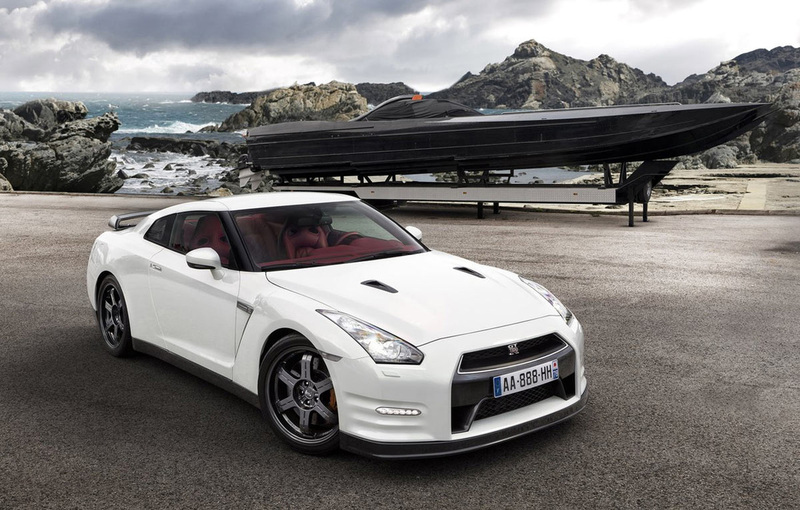 Throughout its gestation period everybody knew that the new generation GT-R (which debuted at the 2007 at the Tokyo Motor show) would be fast, but nobody knew just how far along it would move the performance benchmark for affordable sports cars. In tests the original production model was capable of achieving 0-60 mph (97 km/h) times as low as 3.2 seconds using "launch control." 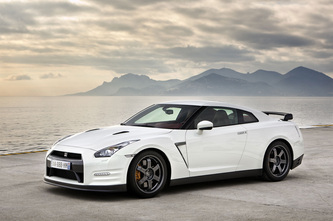 The 2012 model year car has cut that down further, and the GT-R now hauls to 60mph in 2.9 seconds. 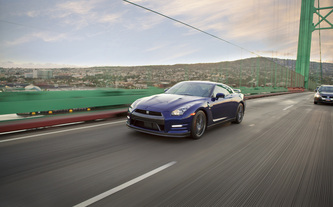 The GT-R has frequently featured in head to head track comparisons against competing vehicles conducted automotive press. 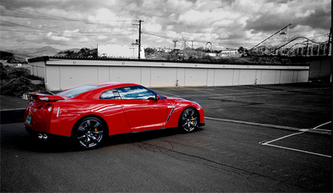 Autocar performed several head to head comparisons involving the GT-R and competing vehicles. 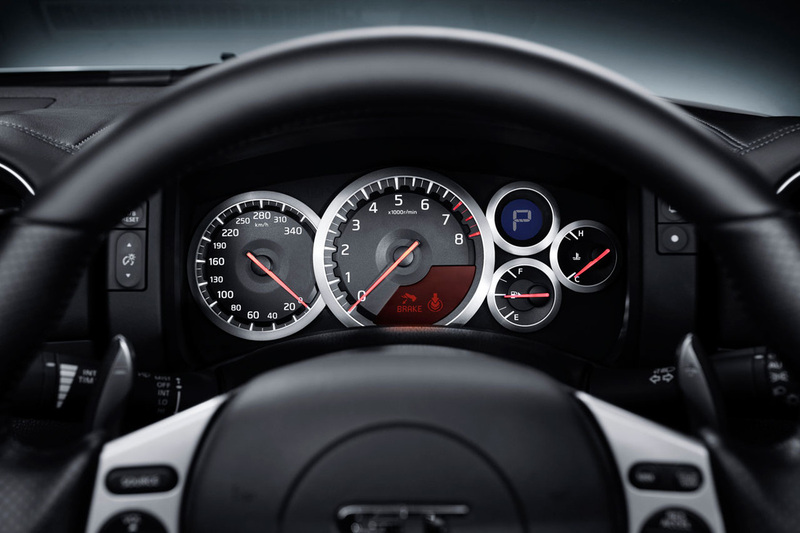 The main comparisons were typically cars that cost two to three times as much as the GT-T, cars like the Porsche 911 GT3, 911 Turbo, Audi R8 and Lamborghini Gallargo. 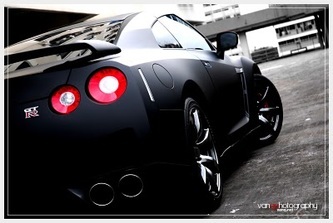 In most cases the GT-R's lap times we quicker than the exotics it was paired against. 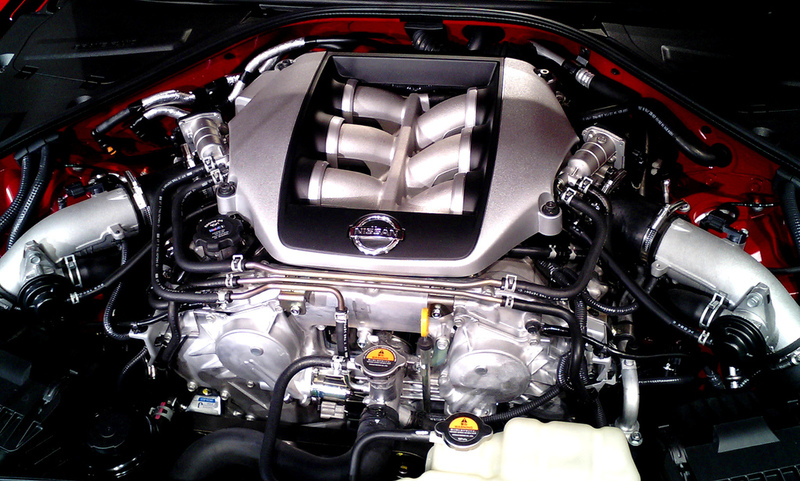 And that really is the key to understanding the GT-R. Quite simply, here you had an incredible performance machine built by boring manufacturer that destroyed almost all the competition, including the much more expensive exotics and it did it all for under US$100,000. Truly remarkable. The Nissan GT-R is powered by the VR38DETT engine, a 3,799 cc (3.8 L; 231.8 cu in) DOHC V6 with plasma transferred wire arc sprayed bores. 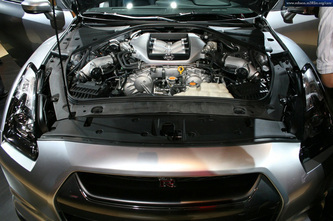 Two parallel Ishikawajima-Harima Heavy Industries (IHI) turbochargers provide forced induction. 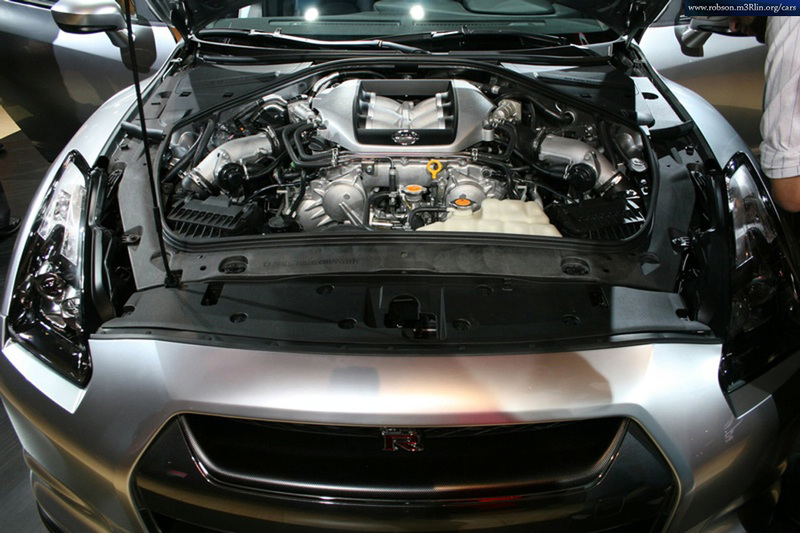 Production vehicles produce a manufacturer-claimed engine output of 530hp at 6,400 rpm and 448lb-ft @ 3,200-6,000rpm. 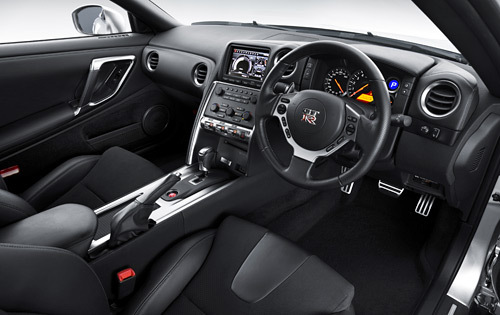 A rear mounted six-speed dual clutch semi-automatic transmission is used in conjunction with the ATTESA E-TS system to provide power to all four wheels and along with Nissan's Vehicle Dynamics Control (VDC-R) to aid in stability. Three shift modes can also be selected for various conditions. 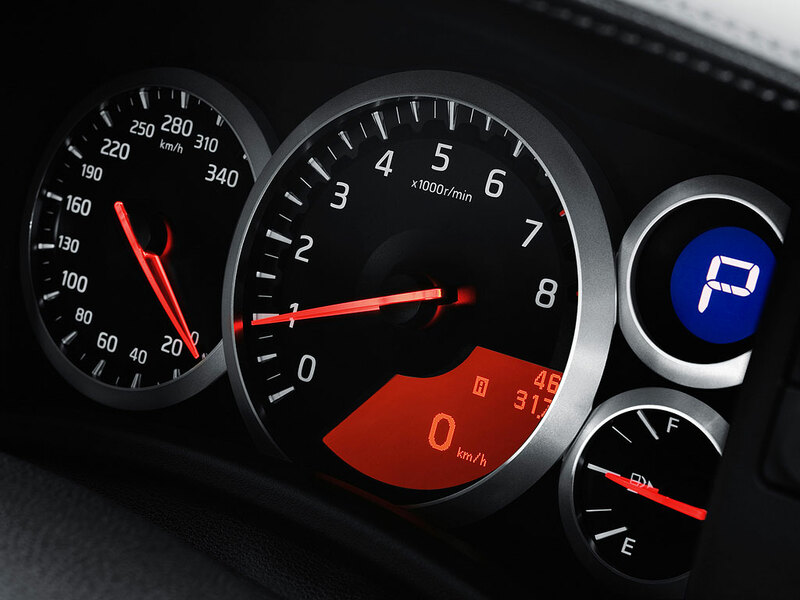 The acceleration on the GT-R is sublime. For 2012, Nissan revised the launch control functionality, and all those millisecond computations equate to blistering acceleration. The ease of execution and neck-snapping grip off the line is otherworldly. The 2012 GT-R is both quicker and faster than the car it replaces. It hits 60 in 2.9 seconds and stomps through the quarter-mile in 11.1. It isn't just sheer straight line performance where the GT-R excels, because it trounces just about every other production car on the track too. 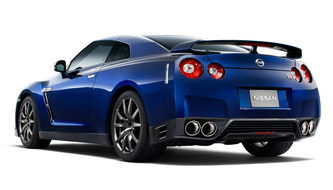 The GT-R generates 1.02g of cornering force, a stunning number considering its relative tire size and substantial weight. 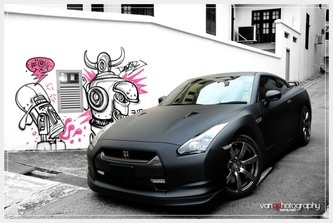 Between this agility and power on tap it is able to lap the Nürburgring in 7 min 24 sec.